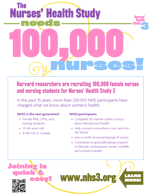 Please share this opportunity with nurses you know! We need your help to spread the word. Here is a copy of the flyer. You can print this or download and share.